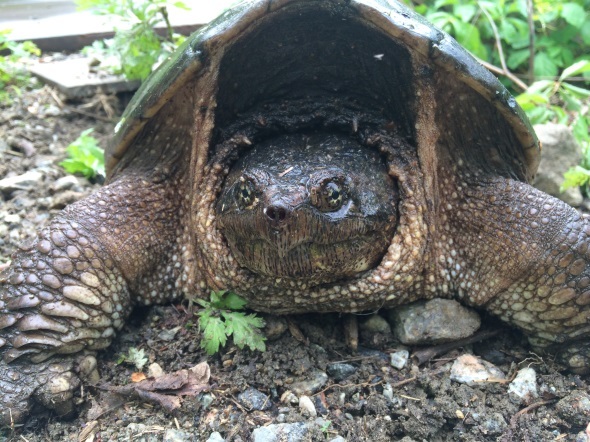 While conducting field work in Clarence Fahnestock State Park the Environment Management Bureau’s Wildlife Unit came across this large female snapping turtle in early June. 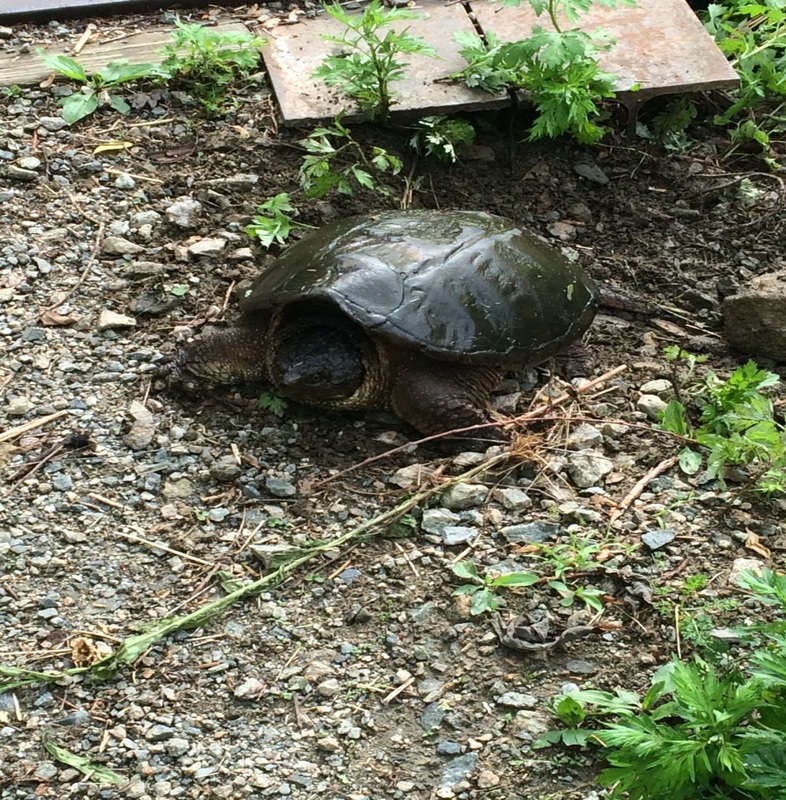 This female snapping turtle was observed digging a hole in the sandy soil to lay her eggs. This time of the year a variety of wildlife are giving birth or nesting to produce this year’s offspring. Turtles, as you may know, do not move very fast on land and tend to get hit by vehicles while attempting to cross the road. Please watch out for them on the roadways! Snapping turtles and turtles in general look for sandy soils that are easy to dig in to create their nest and lay their eggs. Nesting can take place quite a far distance from water. This is okay! Once hatched, the baby turtles will find their way back to a water source nearby. Get out in nature, experience our beautiful wilderness and all it holds, but please remember to not disturb these natural processes and give wildlife some space to be wild. Post by Kelly Starkweather, OPRHP Wildlife Unit. Photos taken at Clarence Fahnestock State Park by Lilly Schelling, OPRHP Wildlife Unit.